Really pretty, Melissa...love the aged look on the embossed panel! 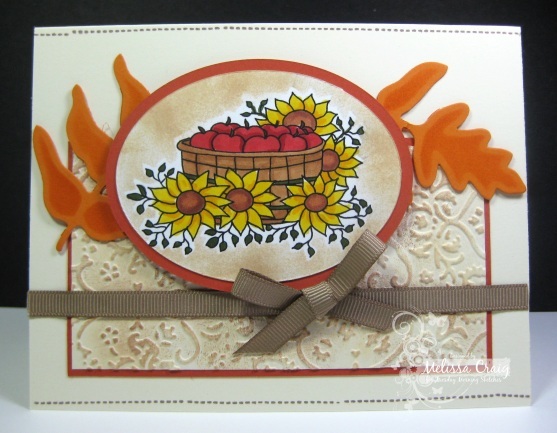 I LOVE all the distressing you did on this card--especially the inked embossed panel. It gives the card such a soft feel. And, of course, your coloring is beautiful. Wonderful card! Beautiful card Melissa! Love the embossing and the pop of orange. So pretty!